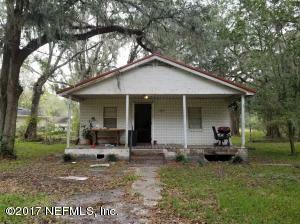 Perfect investment or starter home on a quiet, dead-end road in rural Duval County. 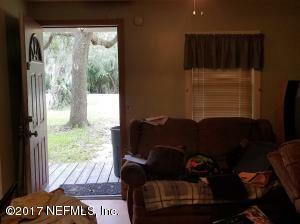 The home is a short distance to the Jacksonville/Baldwin Biking Trail. 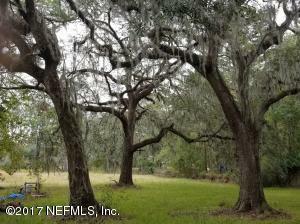 The backyard has several beautiful big Oak trees. 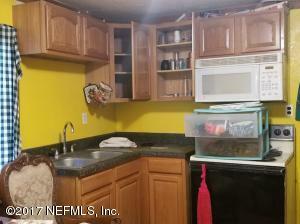 The kitchen and bathroom were updated about 5 years ago. Newer doors. Conveniently located near major interstates. Schedule a showing today! Property being sold ''as-is''.Seller holds equity interest in property and will obtain and convey property at closing. Buyer to pay $295 brokerage fee to PalmerHouse Properties. 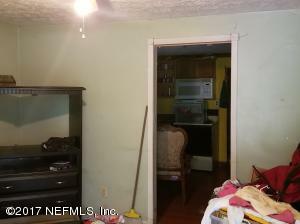 This home has been on the market since Nov 29,2017. Courtesy of PALMERHOUSE PROPERTIES.